Hopefully the animation will at least be helpful for animating the WoW ships. Stormahawk posted a message on Trigger condition: How to check if a unit has a specific item in any inventory slot? Thanks! That helped a lot. I was able to resolve the issue. Unfortunately I don't know anything about modeling, nor do I have the software to do it. I sent you the ship in a PM. I have no idea if it's animated by bones or by other means. I didn't make the ship myself but I did use gimp to make the textures. 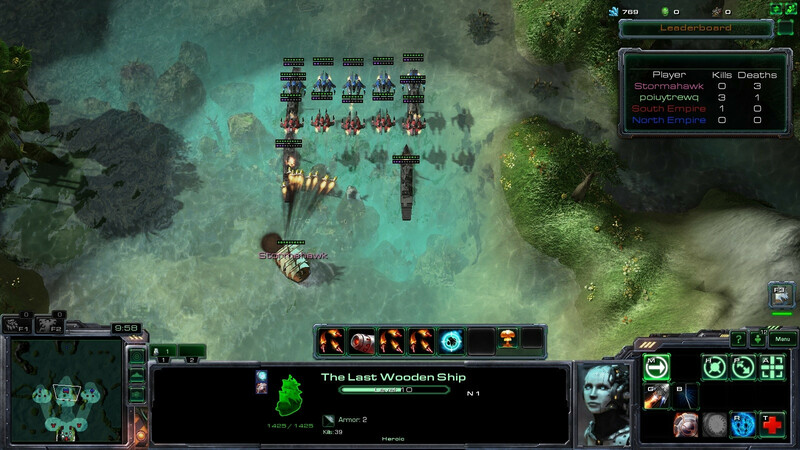 edit: couldn't find the attach button in a PM edit 2: if it uses bones for animation, could it also animate the Heroes of the Storm ships? Will this work with multiple smuggler or will it erase the item (Ale) for other smugglers if one of them turns it in first? Trader Item is a global variable for a unit group. The trigger adds the created inventory item to the Trader Item unit group. When the smuggler reaches a specific region, a new trigger picks every unit in Trader Group and removes it. edit: did some tests. This current trigger will remove items for all players carrying that item (ale) if one of them turns it in first. What can I do to avoid that? I recently ran into somewhat of a wall while triggering. In one trigger, if a unit enters a region and has a specific item, the trigger will do stuff. However, I can't find a way to create a condition that will check to see if the unit will have the item in any inventory slot. Is there a simple way to do that? second edit: How do I get the game to remove a specific inventory item? Thanks! I think the first trigger you have might be better since it may count the AI on each team as a player. Is it possible to convert WC3 ship models to SC2? Dumb modeling question: if I sent you an already animated ship, is it possible to just "copy and paste" the animation into the WoW ships and save tons of time? The model in question is the wooden ship in the screenshot I posted. Yes! But optimized for Starcraft II. Current WoW models don't work too well aside from being static doodads. By optimize, I mean tone the textures down a bit in terms of size since the ships were designed to accommodate players going inside of them (they are huge in WoW), update textures for SC2, and add attachment points so abilities can be properly used (actors for buffs don't "stick" currently and the workarounds aren't ideal for ship battles). With current textures, the lighting is way off. I am not sure why since I really don't know much about modeling. I have made a trigger that can successfully detect if a player leaves and disperses money to the remaining players. However. in regards to win conditions, how do I make the game detect if everyone except the AI left a team and then trigger victory conditions for the opposing team? Looks really good (both demon tauren and the treant). Could you please either export Heroes ship doodads for sc2 (I know there are difficulties with it as I saw in your other thread but if you happen upon the textures, bones, and etc, I would very much appreciate it) or optimize for sc2 existing WoW ship models by adding small animations, improving textures, and adding attachment points. Starcraft 2 needs ships! I didn't know about the texuvset in console. Thanks! I will try this out. 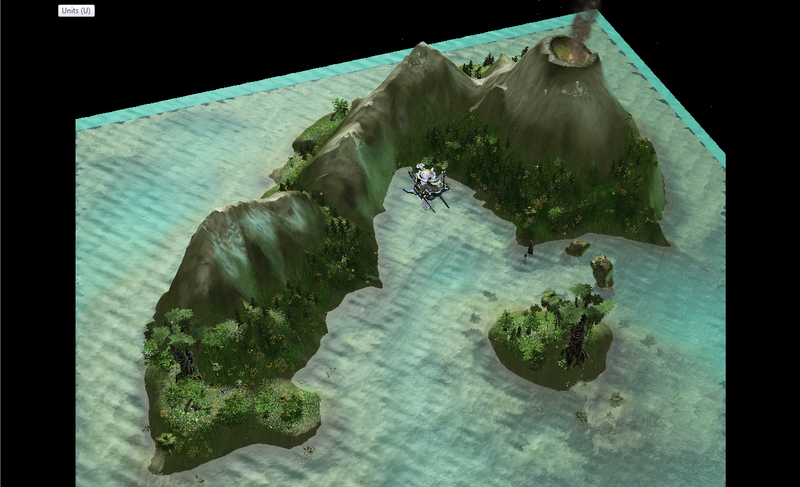 Would adding ships (pirate ship and the other ship) as a model asset on sc2mapster be possible? The mapping community lacks naval ships altogether (WoW ship models are not very good due to size and lack of attachment points and other issues) and this would be tremendously helpful to the mapping community. I agree about them being lower but I placed air-pathing blockers and it wouldn't make much sense if the air unit flying higher than the mountain can't pass over. I realized I don't really know what a volcano looks like. One thing I found helpful for mountains was taking the Haven tree doodad and shrinking it down so they look a bit more proportional on the mountains (no giant trees). I would like to see Weekly Terraining Exercise in the future featuring small mountain ranges. They seem quite challenging to make. The screenshots are from a map called Empires of the Stormy Seas and you can find it on battle.net (NA) if you want to take a closer look at the mountains/terrain. I very very badly need advice! I think one issue is that if you stretch the terrain, the textures will stretch too. Is there a way to disable that or is it hardcoded in? edit: I have to make my mountains tall enough to convincingly be a visual air-pathing blocker as well.